Spill-vase of porcelain painted with enamels and modelled. Decorated in imitation of Meissen porcelain. 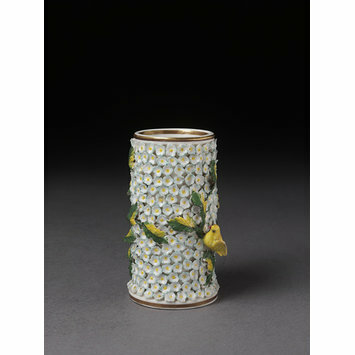 Cylindrical in shape with the surface encrusted with small blossoms, and modelled in relief, over which are applied branches of foliage and a canary painted in yellow and green. One of a pair with C.782A-1935. 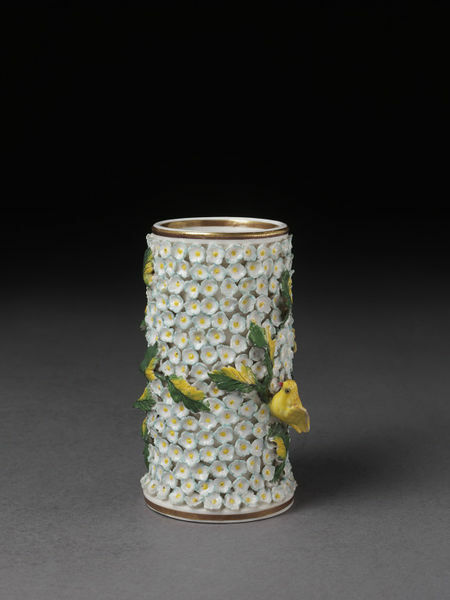 Spill-vase of porcelain painted with enamels and modelled, H. & R. Daniel, Stoke-on-Trent, ca. 1835-1840.